My, my, my. This is great. Just when you think the best feature had been added (the new screen sharing preview), here comes another great feature. The ability to register for recurring webinars really provides both a professional and economical advantage. Thanks again for giving me these advantages…and all for FREE!!! 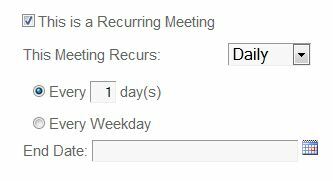 How do I add more meetings to an existing series?